4.9 out of 5, based on 52 ratings and 52 reviews. 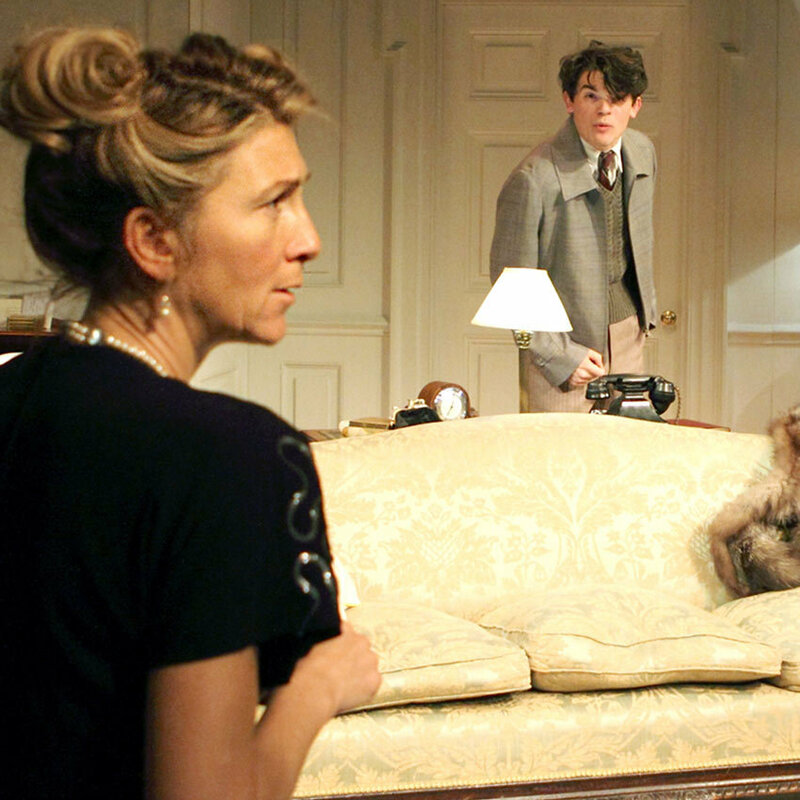 Terence Rattigan's brilliant comedy, Love In Idleness, directed by Trevor Nunn, transfers to the West End following an acclaimed run at the Menier Chocolate Factory. 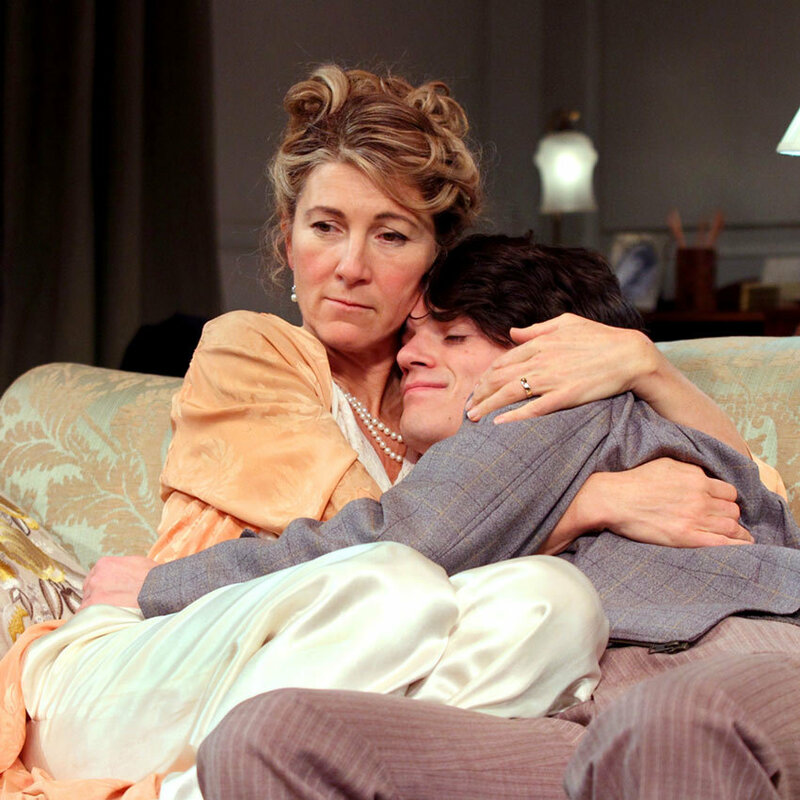 Starring Olivier Award winner Eve Best (A Moon for the Misbegotten, Hedda Gabler, Nurse Jackie), Anthony Head (Six Degrees of Separation, Merlin, Buffy The Vampire Slayer), and Edward Bluemel (The Halcyon). Returning from Canada after a four-year absence during the war, eighteen-year-old Michael is full of youthful ideology and leftist leanings. But he is shocked to find his widowed mother Olivia is now the mistress of cabinet minister Sir John Fletcher, enjoying a comfortable society life. When Michael and John clash, sparks fly and relationships are tested as everyone learns some difficult lessons in love. This brand new production marks Trevor Nunn's (A Little Night Music, Aspects of Love) exciting return to Rattigan's work, following the huge success of Flare Path. Terence Rattigan’s (1911–1977) other plays include The Deep Blue Sea, The Browning Version, Separate Tables, French Without Tears and The Winslow Boy. 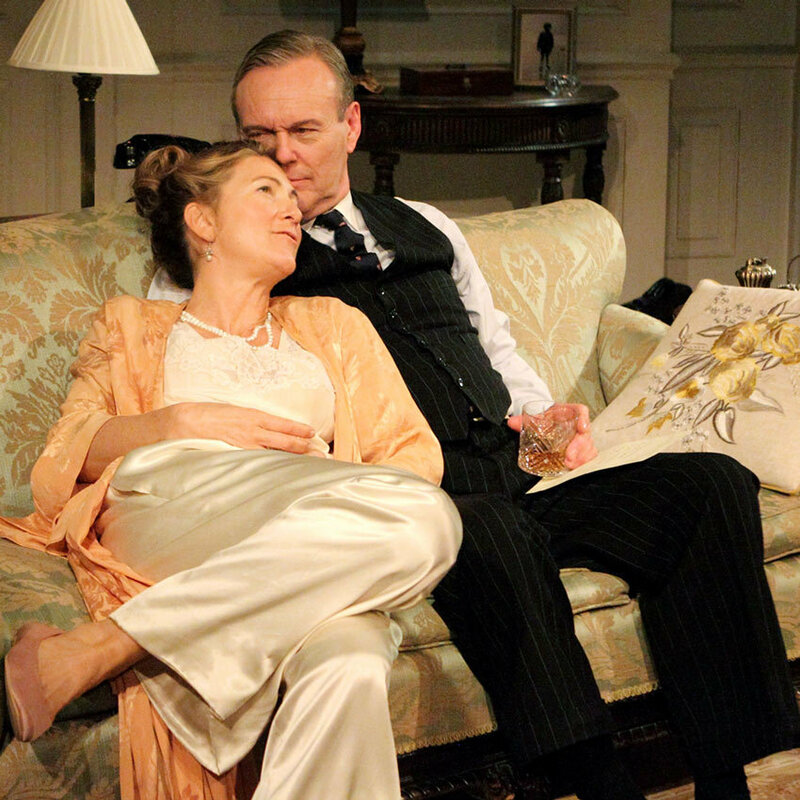 At the Apollo Theatre from 11 May to 1 July, book your Love in Idleness tickets today! "Love In Idleness", Apollo Theatre tickets may be purchased by following the Book Tickets links on this page. You will be purchasing your "Love In Idleness" tickets from the Ticket Machine Ltd, trading as LOVEtheatre. We will always provide you with our contact details before you book your "Love In Idleness" tickets. Where applicable, "Love In Idleness", Apollo Theatre ticket prices may include a booking fee which will always be shown separately. LOVEtheatre will not charge you any additional amounts for the dispatch/delivery of your "Love In Idleness" tickets. Prices are subject to change without notice. Your purchase of "Love In Idleness", Apollo Theatre tickets is conducted securely online using 256-bit encryption assured by DigiCert. On receipt of full payment for your "Love In Idleness" tickets we will issue a confirmation of booking. When booking online this will be in the form of a confirmation page and accompanying confirmation email. Absolutely loved it and waited after to meet the cast who were absolutely amazing and time giving. Great play at a great price and super easy booking. Very funny play and great acting all round! It was a great show, very funny, the actors were amazing! We could actually feel the love between the characters! Excellent evening’s entertainment. Top class performances and a superb production. Catch it before it closes, you will not be disappointed.